The final week of our mental health month brings us to eating disorders. As youth workers we have seen a marked increase in eating disorders over the past ten years with body image being consistently rated by young people in their top few issues. Approximately 15% of Australian women experience an eating disorder during their lifetime however it is not just an issue for females either. Many young males also deal daily with eating disorders. The mortality rate for people with eating disorders is the highest of all psychiatric illnesses, and over twelve times higher than that for people without eating disorders. Approximately one in twenty Australians has an eating disorder with the rate increasing in the Australian population. 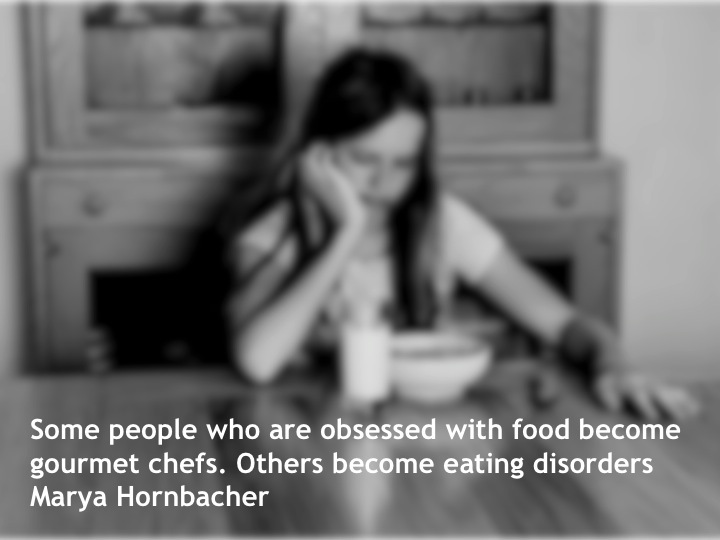 There is a high level of co-morbidity of mental illnesses with eating disorders. Eating disorders are most commonly accompanied by depression and anxiety disorders; however, substance abuse and personality disorders are also highly prevalent in people with eating disorders. In fact, research suggests that approximately 60% of people with an eating disorder will also meet diagnosis for one of these other psychological disorders (Beyondblue, 2014). Each of these diagnoses, save for Pica, can only be assigned individually to a person in a single clinical episode. Meaning you cannot have a diagnosis of Anorexia nervosa and Bulimia nervosa in the same presentation. This is due to their substantially different clinical course, outcome options, and treatment needs. The diagnostic criteria for these disorders is relatively straight forward however the disorders themselves are quite misunderstood. As youth workers we must have a solid understanding of these disorders so we can break the stigma and provide the most appropriate treatment options and support to our clients.